Polling for the fifth and final phase of the Bihar Assembly elections has begun. 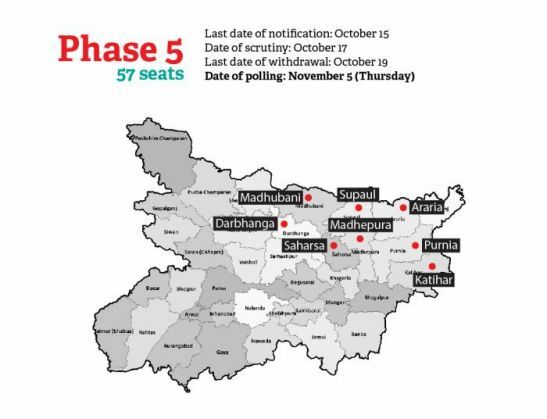 57 seats will see 827 candidates in the fray and their fates will be sealed during the last day of polling on November 5. Polling is being held in 14,709 stations. While there are players like AIMIM in this phase, however the main fight continues to be between the NDA and the Grand Alliance. Let's take a look at the fifth phase constituencies and the candidates of the key political parties. Bigg Boss 9: Rishabh Sinha-Digangana Suryavanshi in love-and-hate relationship?